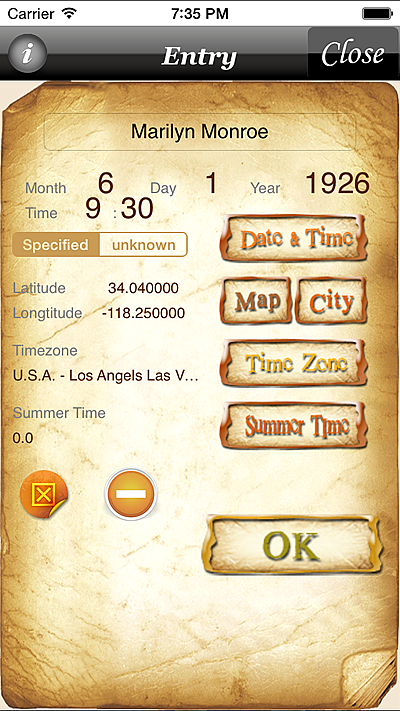 Three input & display methods can be chosen at the date. Please choose the experience method by “Setting”. 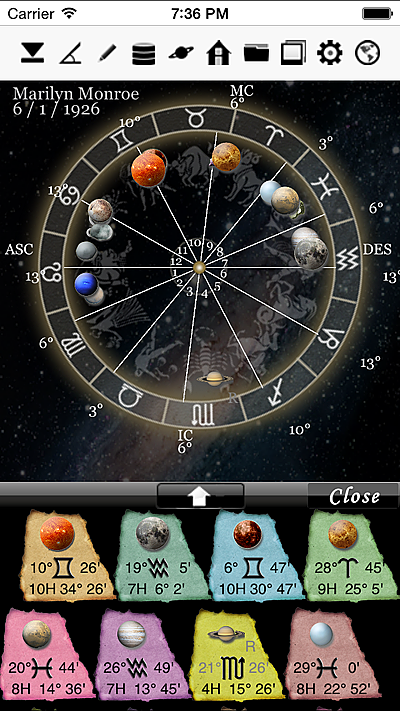 The size of the planet in a horoscope can be adjusted by three stages. Choose the size that sees easily. 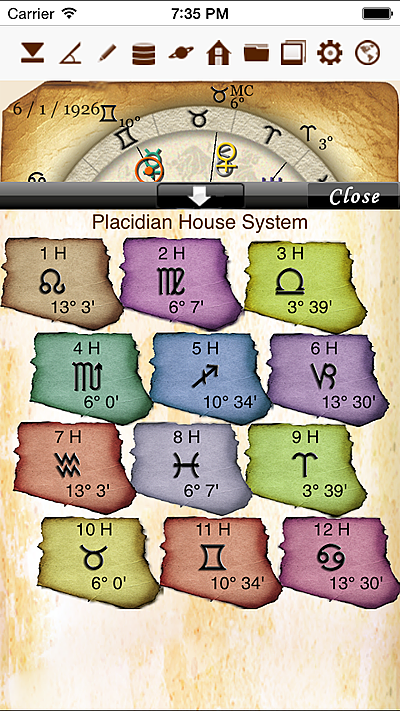 It is convenient in a horoscope to which the Compatible/Transit option or the Progress option is added. 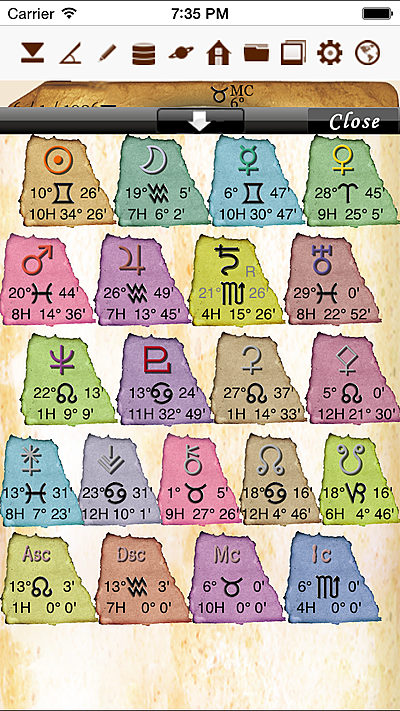 A horoscope is drawn in vast space in the image of a real planet. 5 aspects of major aspects and 7 aspects of minor aspects can be set. 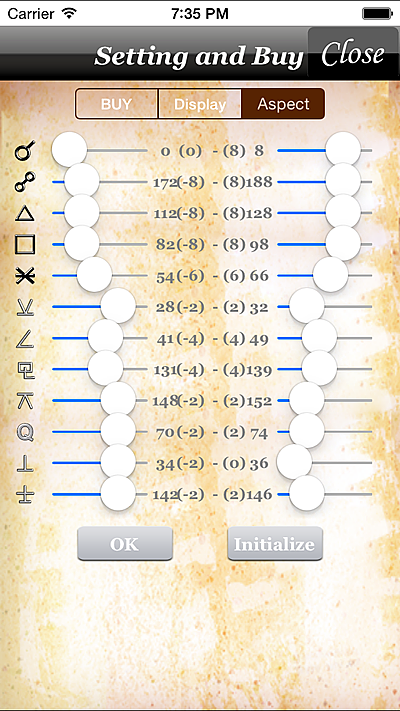 Each aspect can be set within range of 10°. Please push “OK” button after it changes in each slide bar. It is possible to make it to the recommended value with “Initialize” button. The option can be bought. “Restore” ButtonBuying information also disappears with the input data when the application program is deleted after the option is bought. Buying information can be restored by pushing “Restore” button. The bought options can be used without additional purchase. 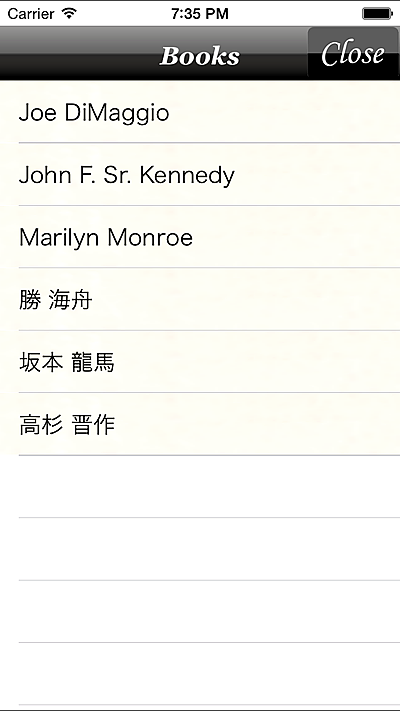 Moreover, if it is same AppleID, it is possible to use it also with other iPad without doing additional purchase. Customer BOOK can manage information on your dearest people. 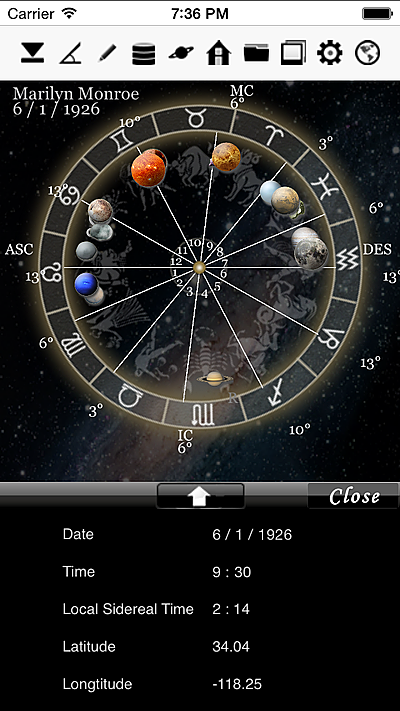 Information on the person who made a horoscope is automatically recorded by Customer BOOK. 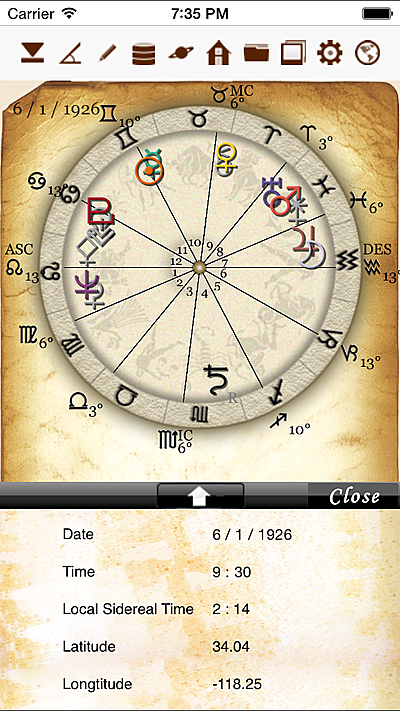 A horoscope can be easily made by quoting it from Customer BOOK. Customer BOOK can have a look at information. A left page is a list of names. A right page is detailed information on the customer who clicked on a left page. It is possible to retrieve it quickly by the index. Customer’s information is added, updated, and deleted. 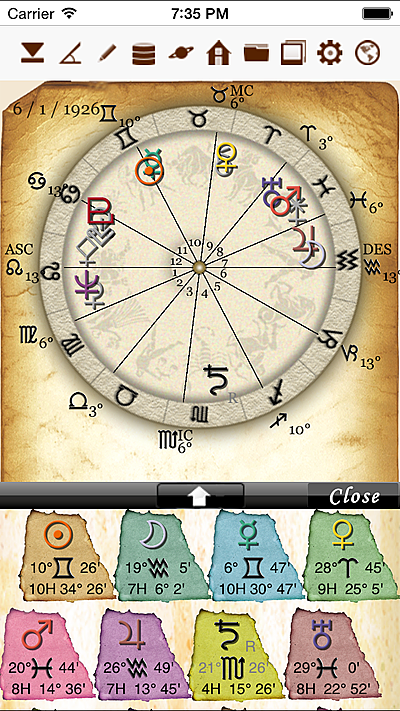 It is almost a same screen where a horoscope is made. Advanced information of customers can be managed, when you push a “CARD” button. The data that can be managed is different by the options of compatible and progress. 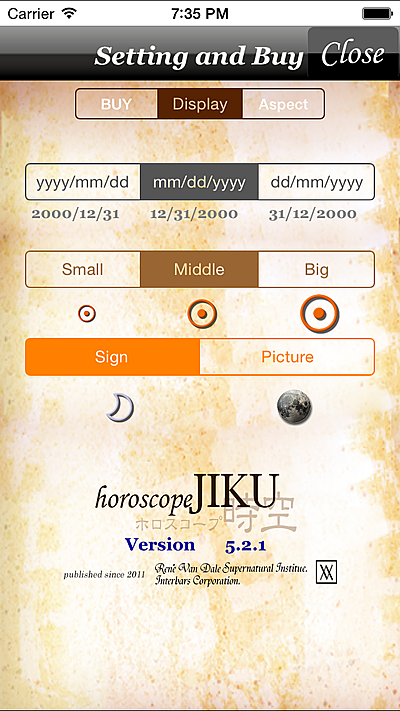 Information of a horoscope is displayed. 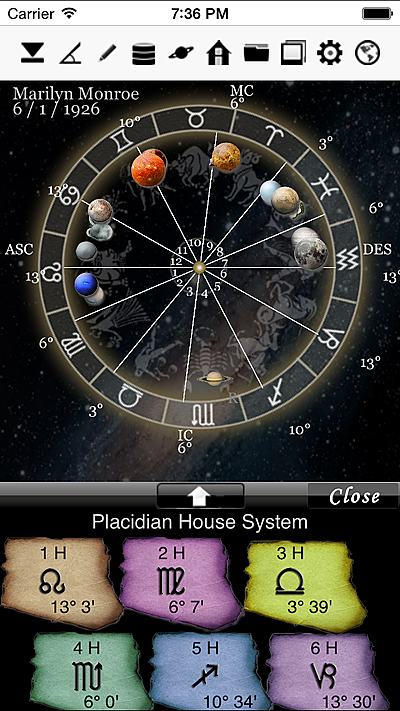 House is displayed by the list. 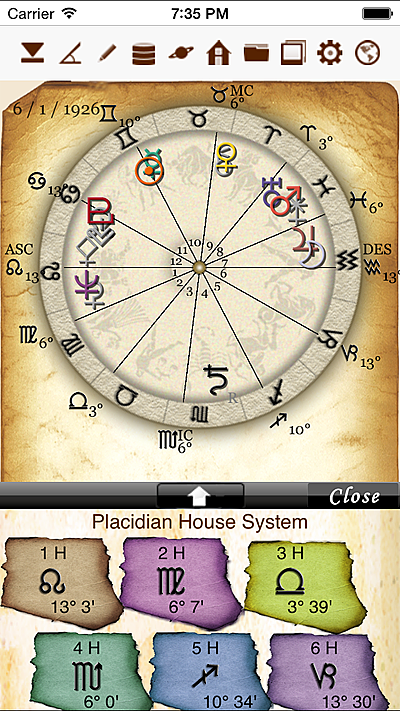 House System could be chosen “Placidian House”, “Koch House”, “Solar House”, “EqualSign House”, “WholeSign House”, and “SolarSign House”. 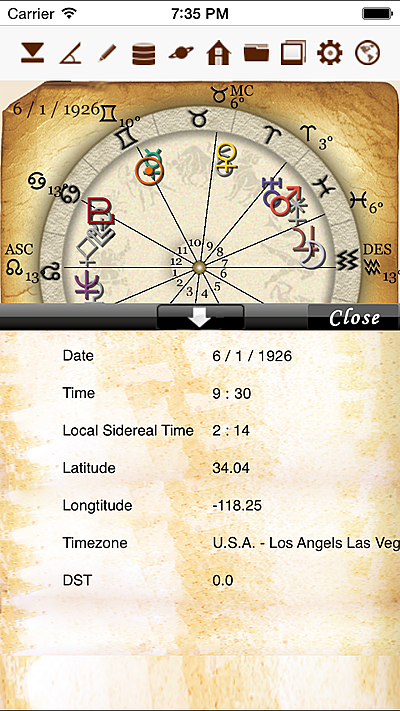 When (birth) time is a uninput because it doesn’t know time, it is drawn with “Solar Chart”. 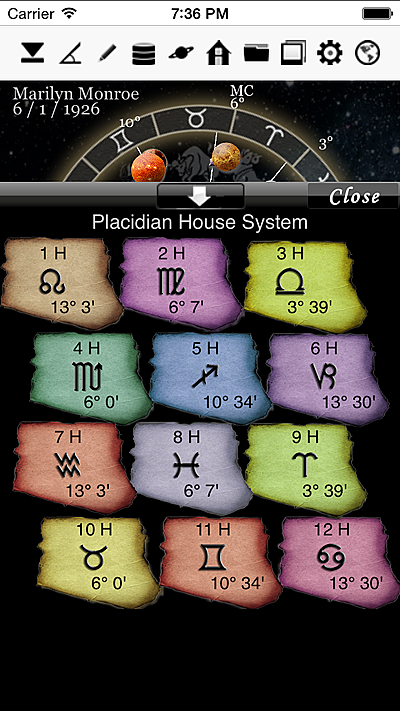 The house is displayed at the constellation and the angle in the constellation. 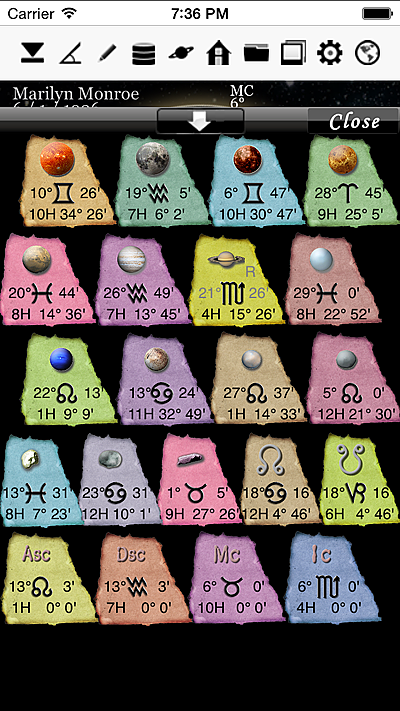 Ecliptic longitude of Sensitive Points is displayed by the list. 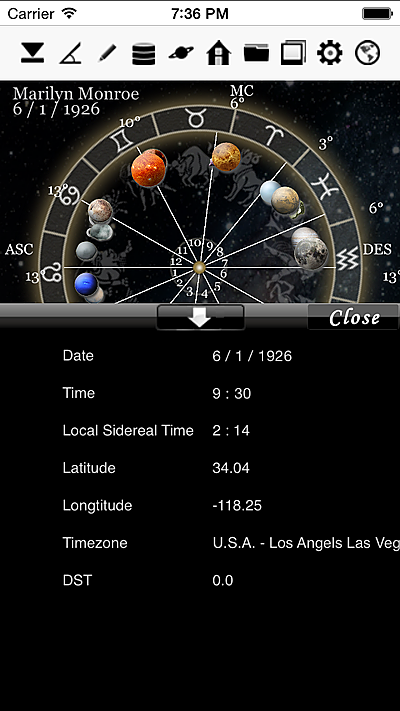 Ecliptic longitude of the Sensitive Points is displayed at the constellation and the angle in the constellation. The house to which a planet belonged was written.